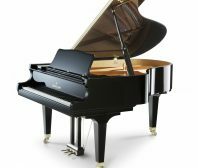 Roger’s Piano offers a number of options for piano rentals for nearly every occasion. Whether you are looking for a home rental or a single event rental, we have the piano for you. Select models of Yamaha Disklavier player pianos are also available for event use. It is like having an entire band or orchestra at your event.